The current worldwide total for the Queen movie is $833,201,451. And that’s off a reported production budget of $52 million! Japan seems to have lead the way to this. The current worldwide total for the Queen movie is $833,201,451. And that's off a reported production budget of $52 million! https://www.cinemablend.com/news/2466378/bohemian-rhapsody-just-crossed-a-box-office-milestone-overseas Japan seems to have lead the way to this. WOW I’ve had Adam Levine mixed up with Adam Lambert for YEARS. ADAM LAMBERT IS BETTER. RJ son of Thráin, King Under the Mountain @RJ_Sproseph 2h WOW I’ve had Adam Levine mixed up with Adam Lambert for YEARS. ADAM LAMBERT IS BETTER. Elvis special songs and artists. So many! Never heard of this awards show but Bohemian Rhapsody won! ADAM LAMBERT @adamlambert 4h Why can’t I stream Drop Dead Gorgeous anywhere!? Where is the movie!!? The British Academy has confirmed that the nomination for outstanding British film will no longer include the director’s name due to new allegations of sexual assault. Hollywood Reporter @THR 30m #EEBAFTAsd"
Kirstie Alley’s reply to Adam’s question about why he can’t find Drop Dead Gorgeous movie. Great question!! Why can’t I do it as a broadway play? Why don’t you produce it and I’ll come to your house and act out the movie live.. Fans were able to get their actual voices added into the movie through a campaign called #PutMeInBohemian. It’s been determined that it is him. asif had mentioned she read on Adamtopia that he was dating a Spanish guy. Supposedly it’s the curly haired young guy with the yellow sweat shirt in this video. 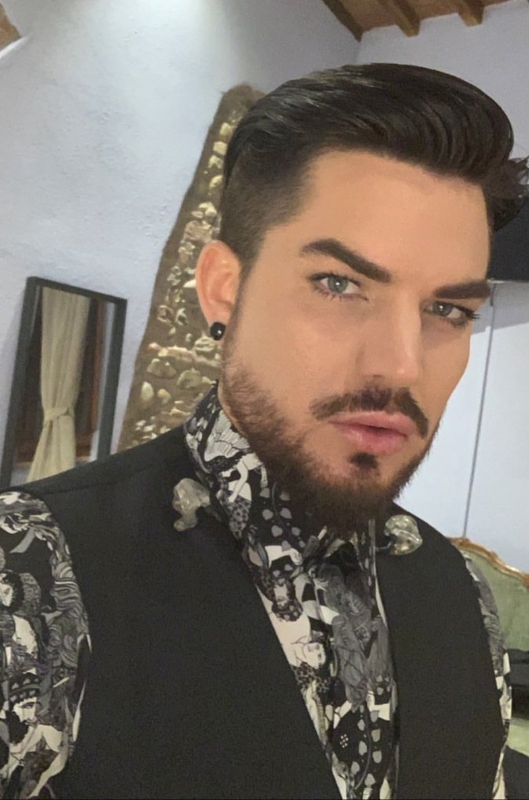 From mjs - "Elvis All-Star Tribute: Adam Lambert, John Legend, Jennifer Lopez and More Join NBC Special" https://www.bleedingcool.com/2019/01/08/elvis-tribute-lambert-legend/ "I hope everyone does “The King” justice, while still putting their personal spin on the song. Elvis has one of the best voices of all time so walking his “Blue Suede Shoes” won’t be easy (though we’re sure Adam Lambert will nail the iconic number." T H I S is Adam L A M B E R T motherf**kers!!!! http://www.bbc.com/culture/story/20190206-is-mens-make-up-going-mainstream "The male-grooming business is exploding – and even David Beckham is wearing eyeshadow. Bel Jacobs investigates the boom in men's cosmetics." Adam’s track from Wicked is #18 on the iTunes Soundtracks single chart. But the ones with Ariana & P5 are ahead of it! PattiHum @PattiHum 9m Adam’s track from Wicked is #18 on the iTunes Soundtracks single chart. But the ones with Ariana & P5 are ahead of it! Today’s #stupidfact – #Seattle was originally called #NewYork. When people settled there in 1851, that’s what they named it. But they quickly changed the name to Seattle after a Native American chief who helped them out.